Lovely Planet is a first person shooter game set in a cutesy abstract world. 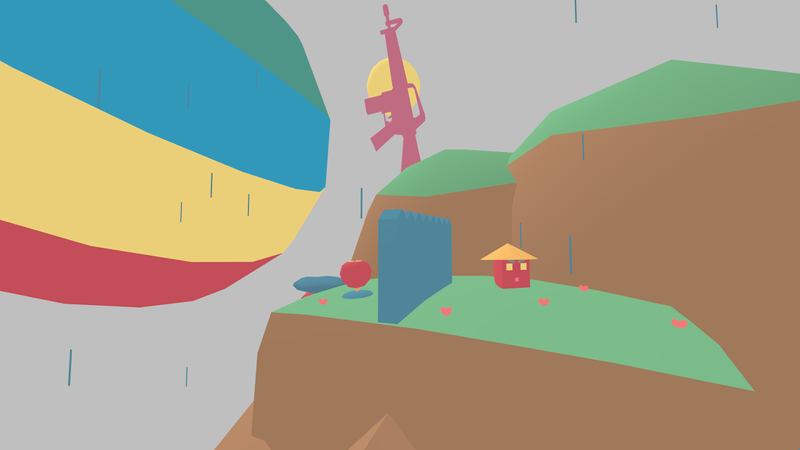 With a single weapon at your disposal, jump and shoot your way through five worlds of intense action packed gun ballet. A review of the progress made on reaching its first big milestone towards completion. If feature creep doesn't show its ugly face again and everything goes according to plan, I think it's safe to say that Lovely Planet has reached a stage where I can call it complete. I'm quite happy with the amount of content now, with enough variety in gameplay spread over ninety levels, it's definitely packed with plenty of interesting challenges for players to take on. Over the last month I've been putting a lot more work into the UI and menus both of which are now more functional and easier to understand. The sounds are now more congruent with the serene setting of the game world with bells, gongs and windchimes going off every now and then. Sound queues are extremely important inside the level which don't allow for any kind of music - I'd blame it on the time critical nature of the gameplay. Other subtle but very important features were introduced, Lovely Planet doesn't play out like most shooters, it pushes you back for the slightest mistakes, the margin for error is low and perfection is rewarded. Sometimes I don't have the authority or a good enough reason to abruptly restart the level, with a new smarter in-game heads-up display, the game is now able to remind the player of when and where mistakes are being made by suggesting a manual restart. Most of these additions were the result of short playtesting sessions, clearly I don't have the foresight of a vetted game designer yet but it was fun to discover and resolve these issues. I had posted a few screenshots taken from levels where it was raining in the background, I thought I'll post some more and explain what's going on. World 3 represents the first big jump where the gameplay changes drastically, precision shooting is made compulsory and platforming is introduced for the first time. It's the part where the game slows down one last time before the player is put to the final test. That final test comes in the world that follows, which will remain a mystery for now. As the events of the unwritten story unfold and more secrets are brought to light, the ambiance doesn't call for a bright and sunny sky for too long. 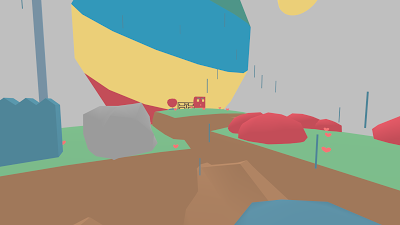 So world 3, also called the Forest, is where the weather gets a little bit unpleasant and the clouds set in. I didn't want to fiddle with the aesthetics too much, if there's anything wrong with this game it would be that the environments are quite repetitive, the same assets are reused throughout to piece together levels. Also I'm not too sure whether the lack of a storyline is something players would hold against the game, I would just rather not have a story instead of piecing together a narrative that doesn't complement the gameplay just for the sake of it being there. Writing on walls inside the world and objects of interest later in the game clue you in on what's going on around you, they're not detailing a story but making a promise, that given the opportunity I'd love to put more work into the fiction of this universe. Is there a reason the skybox/background is just one flat drab colour? It's distracting once you've noticed it. Makes the rest of the enviroment less cheery. 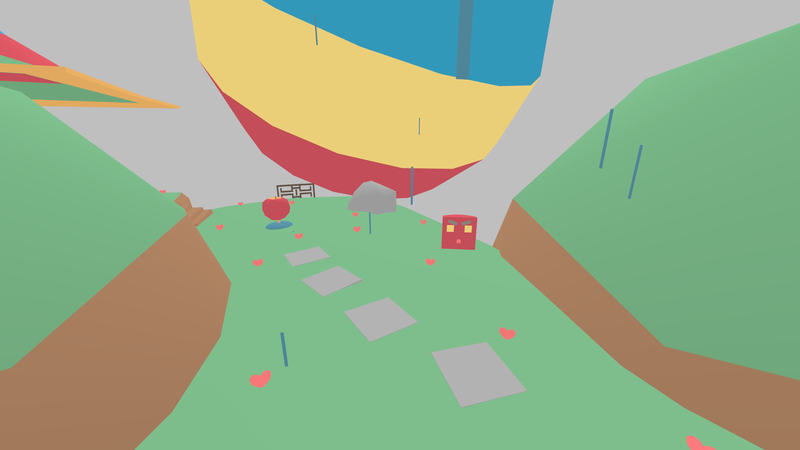 Some levels have props floating around but otherwise the skybox is not populated. After watching the video again it doesn't seem as annoying as I thought. Besides, you're finished!